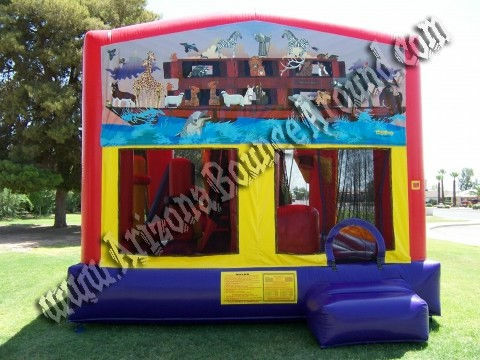 This inflatable jumping castle can be fitted with an art panel of your choice to fit any party theme. 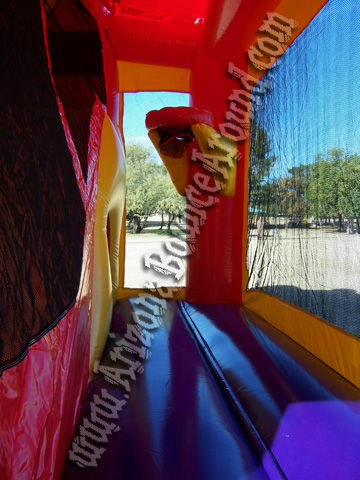 Check out the photos and video below. 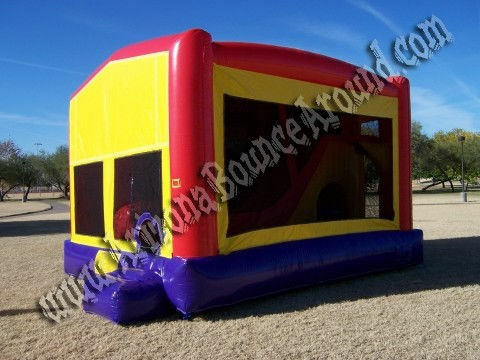 This awesome 5 and 1 bounce house has everything you need in a compact design. 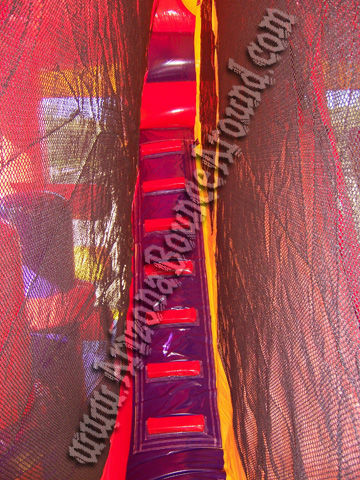 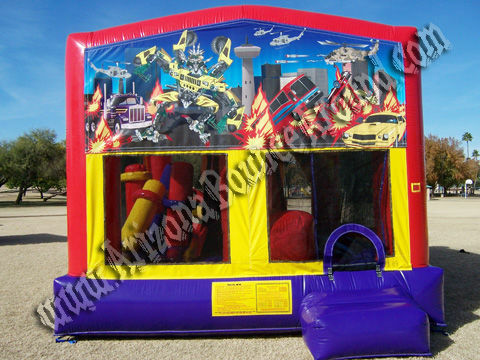 This bounce house has a Bounce area, Obstacle course, Ladder climb, Basketball hoop and a very fast 14' tall slide inside perfect for all age groups including adults. 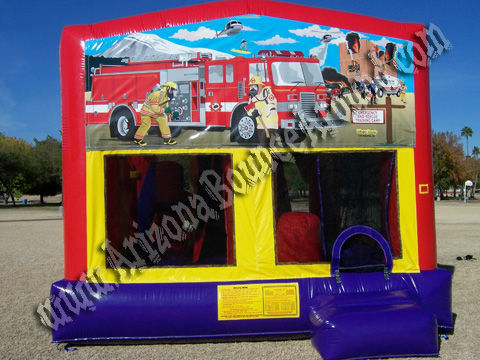 The best part about this combo bounce house is that you can choose your own theme with one of our cool art panels. 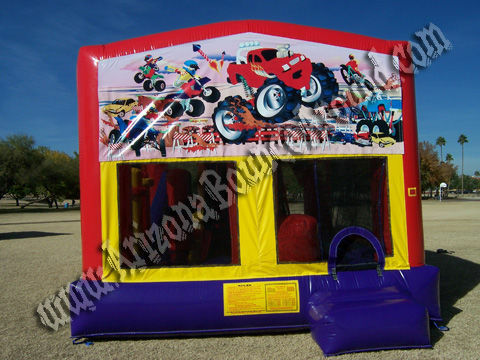 Choose from many popular party themes like Sports, Western, Race Cars, Holiday themes and more. 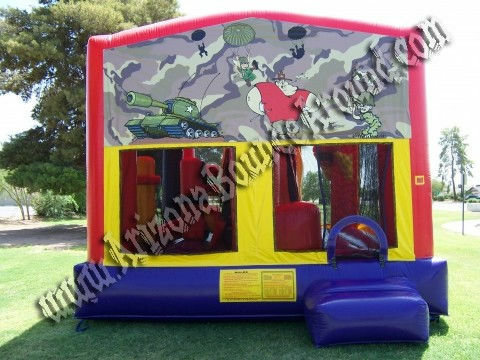 This inflatable bounce house rental gives you all the benefits of a bouncer plus a 14' slide, climb, basketball hoop and obstacle course. 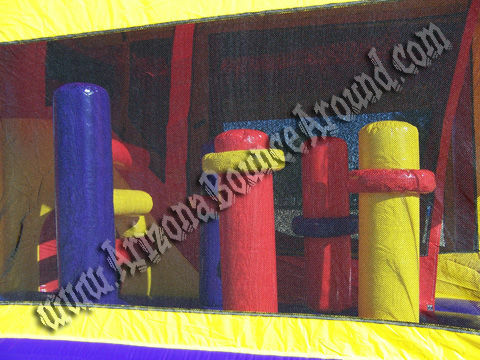 Choose the art panel from the list below at no extra charge. 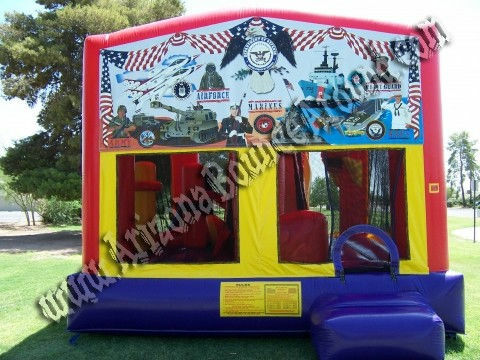 Chose from Camouflage Army, Fireman on a Mission, Monster Truck, Noah's Ark, Pirates of Bermuda, Robo Car, Sports or Western theme at no extra charge. 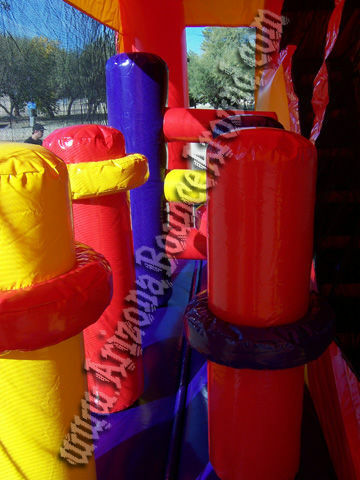 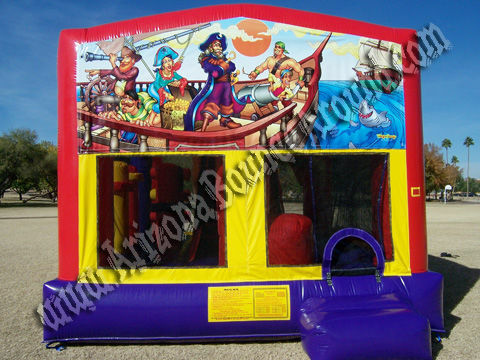 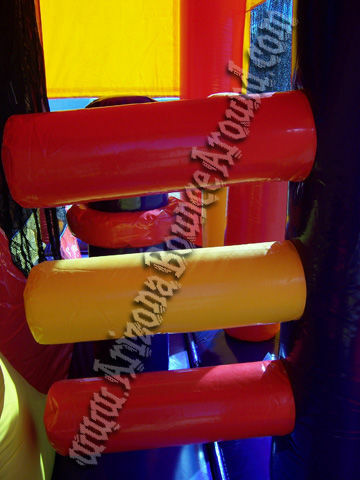 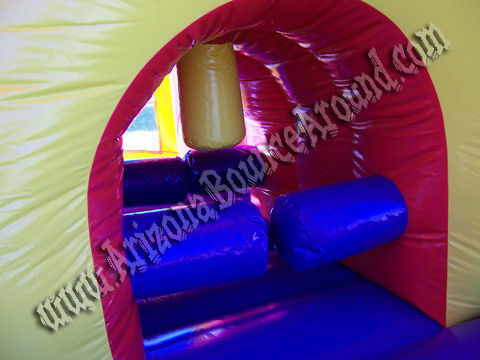 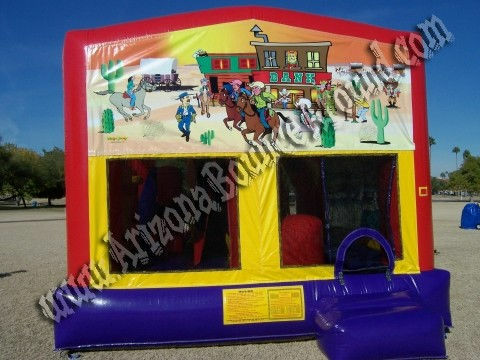 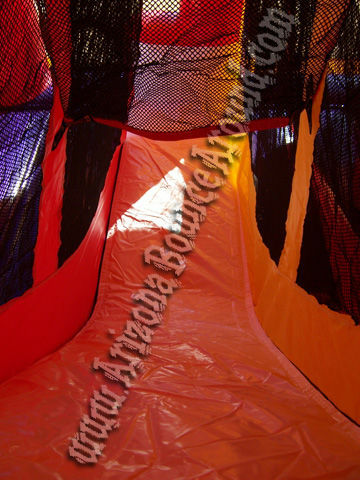 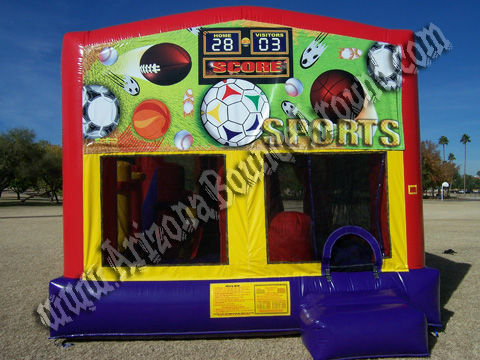 Rent a Bouncy house or Jumpy thing in Phoenix or Scottsdale AZ from Arizona Bounce Around for your next party.